Today is my Blogversary. Three years ago today I started Gluten Free Zen. 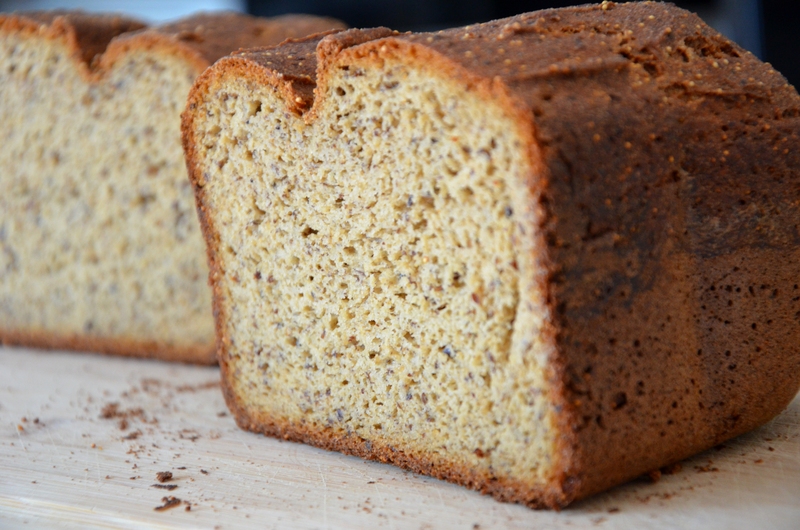 What better way to celebrate than with an excellent gluten-free bread? Gluten free has come a long way since I kicked it out of my diet several years ago. 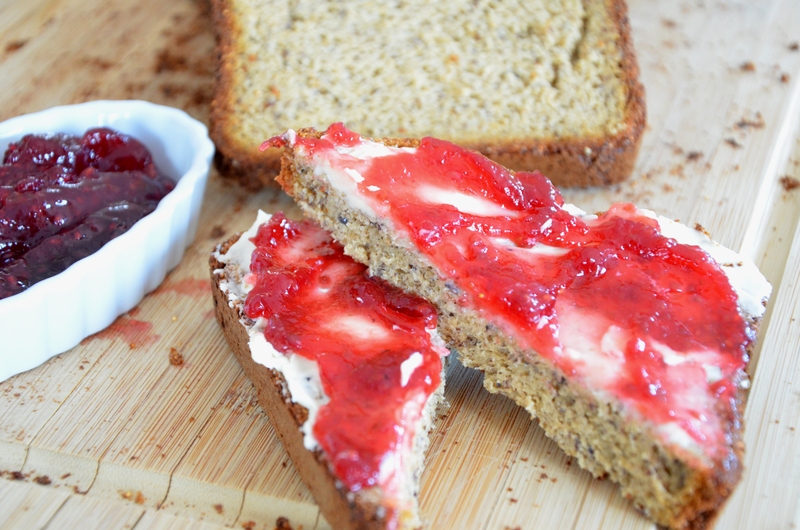 Remember what gluten-free bread was like? Ugh. That weird slippery feel when it went down your throat…lack of taste, crumbly texture…forget making a sandwich with it unless it was toasted, and even then it wouldn’t stay together. 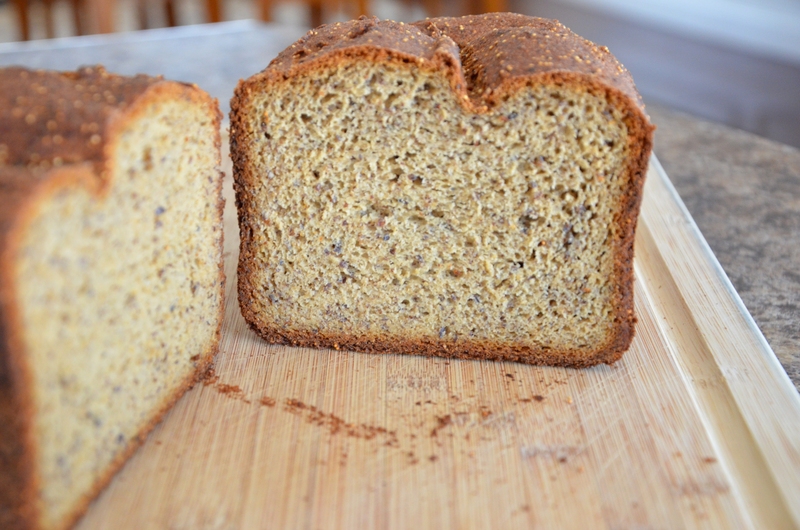 Thankfully, we don’t have to rely on store bought gluten-free bread these days. They even design bread machines with gluten-free features now! In fact, a few months ago, we bought one. How wonderful it is to have the house smell like freshly baked bread again. You can go here to read several different bread machine reviews. 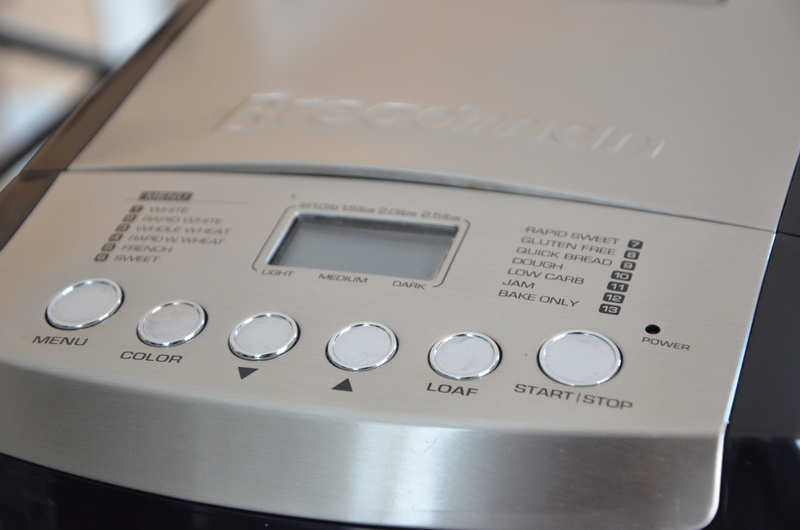 I love this particular bread machine because it has a gluten-free setting. I don’t have to guess or do a lot of work or thinking to figure out how to use it. Which is after all, the purpose of having a bread machine right? I read all kinds of reviews on other machines where you have to start it on one cycle, move to another, yadda..yadda..yadda. No thank you. In the Breadman, I add all the liquids, add the dry ingredients, shut the lid, and push the gluten-free cycle. After it’s mixed for a few minutes I help it along with a little stir, possibly add a couple more Tablespoons of water if I think it’s looking too dry, smooth out the top, and leave it alone for three hours. Maybe 15 minutes of my time, if even that, from start to finish. Easy! The payoff is well worth the tiny amount of time it takes to throw everything together. I believe I paid around $175.00 for it on Amazon. Worth every penny. And quite inexpensive if you compare it to how many loaves of gluten-free bread you buy at the grocery store every year. 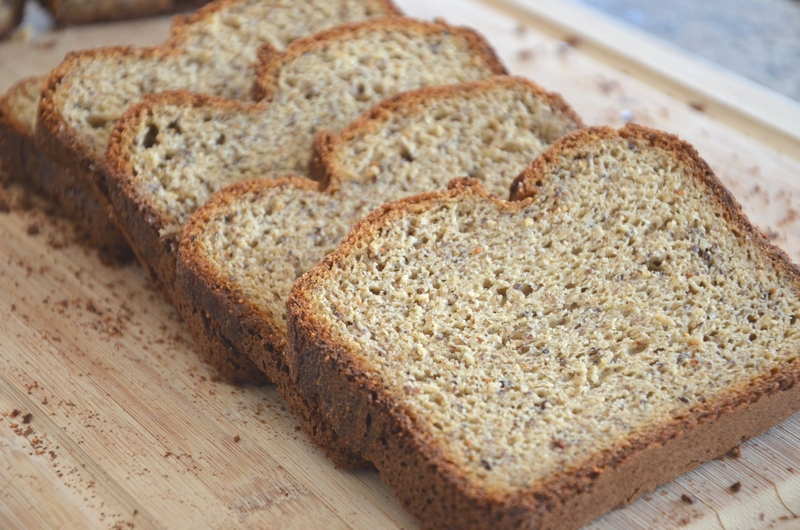 We typically go through about 1 loaf of gluten-free bread a week. That’s 48 loaves of bread a year (at least), and if they’re store bought, that adds up to almost $240.00 a year. And it’s not EVEN GOOD has very little nutrition, and good luck finding organic. 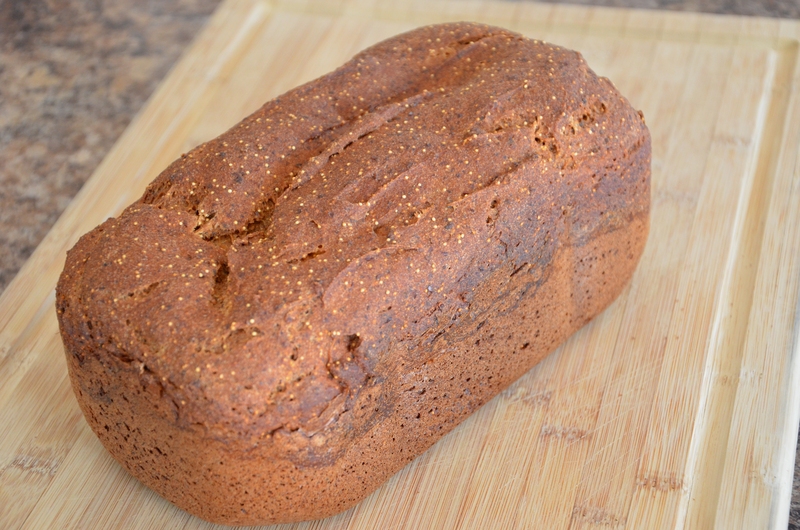 An initial investment in a good bread machine, organic healthy flours, grains, etc. will seem a little pricey, but it’s well worth it in the long run both financially and for your health. 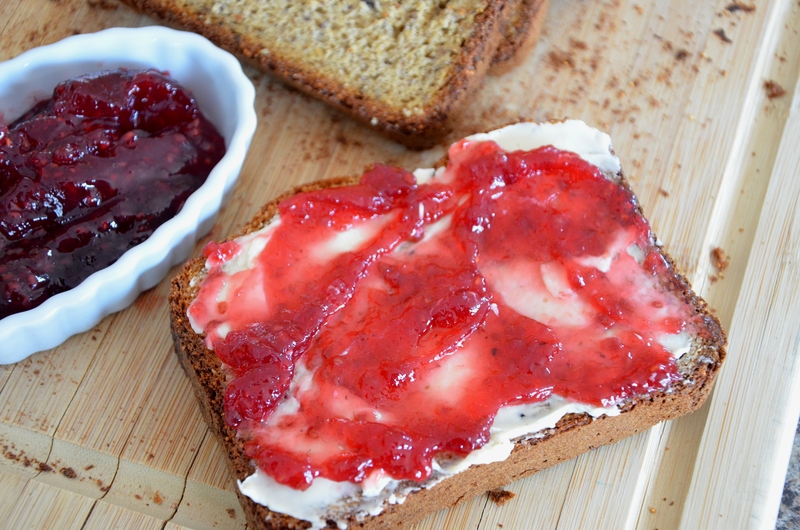 Add all liquid ingredients to your bread machine. In a large bowl whisk together all dry ingredients and add to the liquid ingredients. Turn bread machine on gluten free setting. Allow it to stir for about 10 minutes, then open the lid and scrape the sides down with a spatula. At this point, I sometimes add a couple more Tablespoons of water if I think it is looking a little too dry. Close the lid and wait for the mixing cycle to finish. Smooth the top with a spatula (sometimes it forms a dome), close the lid and don’t open it again until it’s finished.